Upside-down baked oatmeal cups are ideal for a weekend breakfast or as part of a simple holiday brunch. 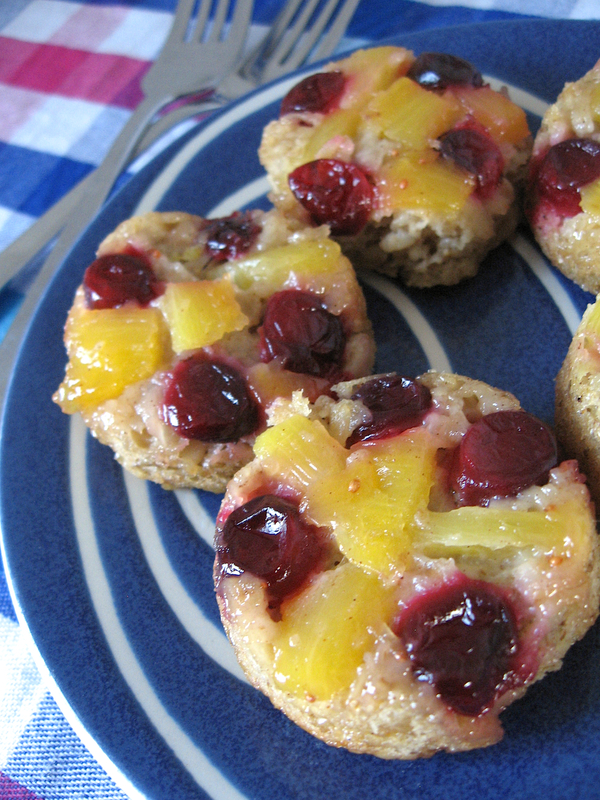 Soaking the oats gives a light and fluffy texture to these lovely fruit-topped oatmeal cups. Oats also contain the anti-nutrient phytic acid, some of which gets broken down during the soaking process, yielding a more nutritious breakfast option. This was actually my first attempt at baked oatmeal, and I adapted a baked oatmeal recipe from Whole New Mom. The results were fantastic—healthy, naturally sweet, and colourful! The night before, combine oats with non-dairy milk(s) and lemon juice in a non-metallic container. Cover and let soak for 8 hours or longer. 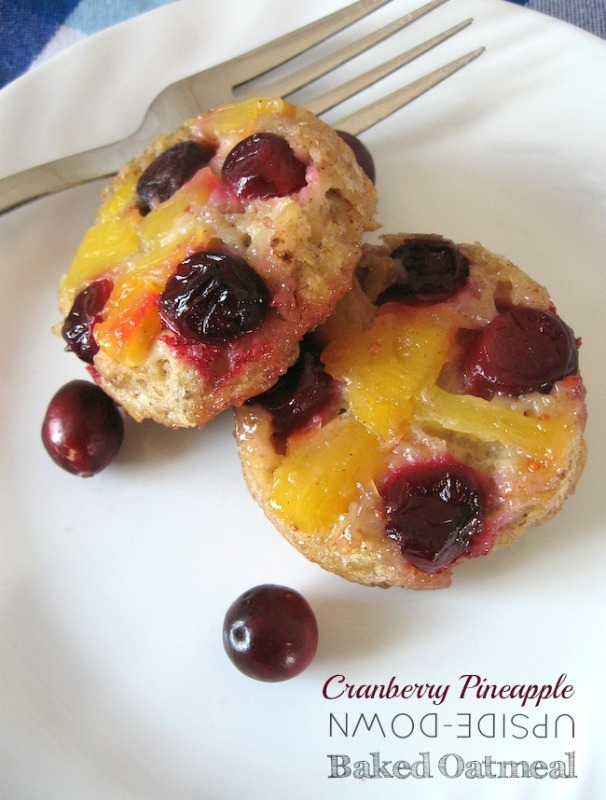 Mix together pineapple, cranberries, and honey, so that the flavours blend together. Preheat oven to 350 degrees F (180 C). In a medium mixing bowl, stir together soaked oats, oil or butter, salt, and cinnamon. Stir in egg, followed by baking powder. Add batter on top of fruit layer. Each muffin tin cup should be about two-thirds full. Bake for 15 to 20 minutes or until middle of muffins tests done. Let baked oatmeal cups cool for 5 minutes in the muffin tin before gently taking them out of the liners, using a butter knife. Turn the baked oatmeal cups upside-down, with the fruit layer on top. Serve warm or at room temperature. Top with additional maple syrup or unrefined sugar if desired. I’m also sharing this at Savoring Saturdays.